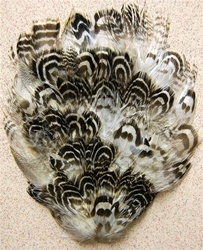 White Pheasant Pad. Gives a different look to Pheasant with the swirling natural black in the white. 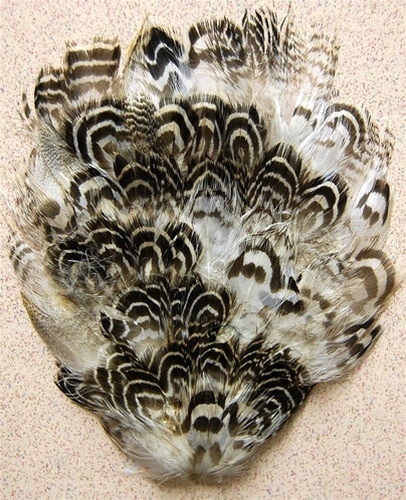 A popular item for Millinery, Headbands, Crafts and other items. Sold by the DOZEN only.